On the 3rd of November 2016, WWF attended the Kampot Writers festival in order to raise awareness on the lack of tigers in Cambodia. The global response towards to lack of tigers in Cambodia are primarily centered on the western notions of science, ecology, and extinction, and brought out the associated lack of conservation and adequate management of tigers and protected areas nationally in Cambodia. 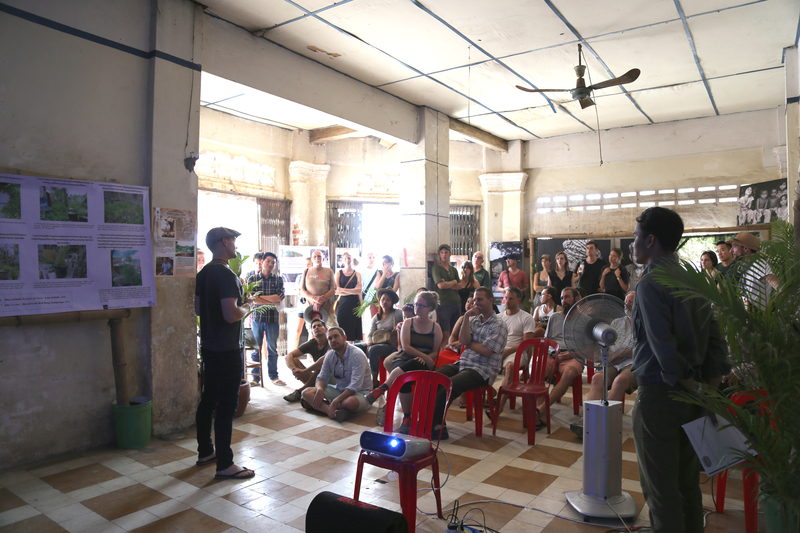 In order to combat this one sided view, WWF- Cambodia produced a short documentary film with the aim to explore a different side of the discussion around tigers to present at the Kampot Writers Festival, which received great response from those attending the festival. The Cambodian people are of major importance when discussing tiger reintroduction as it is those in the rural communities that will be living alongside them in the forests. We, therefore, chose to focus on of the cultural histories (myths) and personal stories they have linked to wild tigers that existed here for millennia. These myths and stories provide the depth and texture of what tigers mean to Cambodians, and without the maintenance of these legends, the links between tigers and people rapidly erodes. 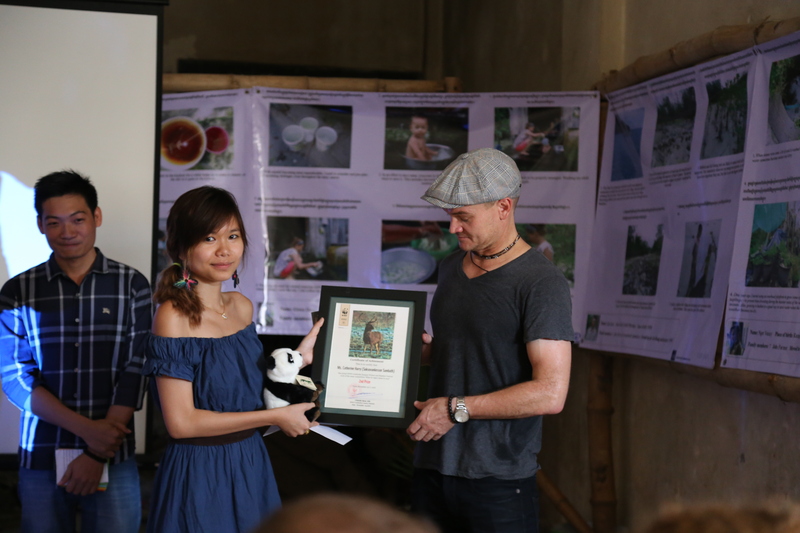 We also provided the opportunity for university students to engage with this by involving them to join competition to write a short essay with the title ‘What do tigers mean to you?’ After great response, three winners were chosen and invited to join the WWF team in Kampot province to present their essays at the festival and receive their prizes. 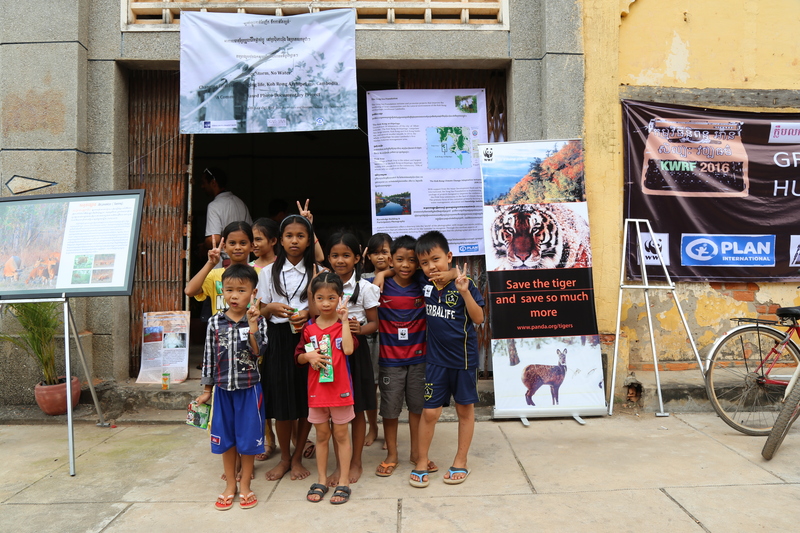 Overall, it can be said that the Kampot Writers Festival was a great success as we were able to inform many people on the current situation of tigers in Cambodia, as well as provide information on what WWF is doing to solve this issue. The Cambodian people are of major importance when discussing tiger reintroduction as it is those in the rural communities that will be living alongside them in the forests.